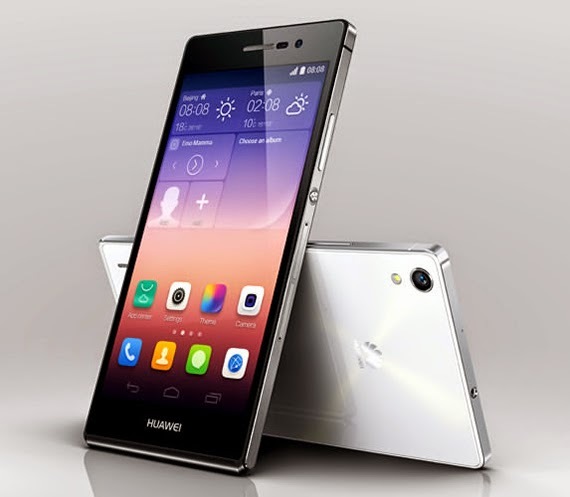 Huawei announced a new version of its Ascend P7 smartphone which has a sapphire glass screen and ceramic coated back at the IFA 2014 in Berlin. The Huawei Ascend P7 Sapphire Edition has the same notable specifications found on the standard Ascend P7 model; the only difference is the scratch-resistant sapphire display and tough ceramic back panel. The new Ascend P7 still features a 5-inch full HD screen with 1080 x 1920 pixel resolution, 1.8GHz quad-core processor, 13-megapixel camera and runs Android KitKat, Google’s sweet mobile platform. Huawei has not given any details on the smartphone’s pricing yet, but since the new Sapphire P7 is made of expensive and premium materials, expect a much more pricey tag.